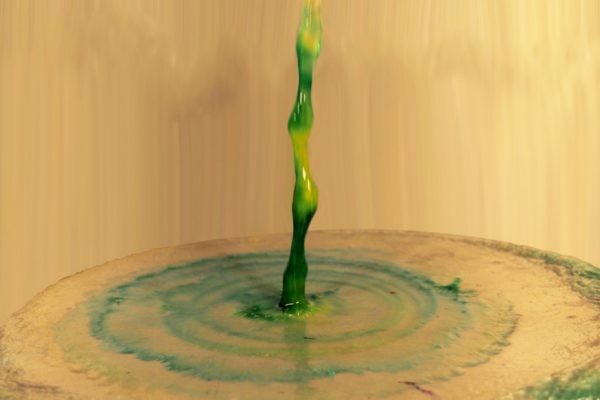 Blue and yellow India ink was mixed into a stream of water splashing on a metal plate. 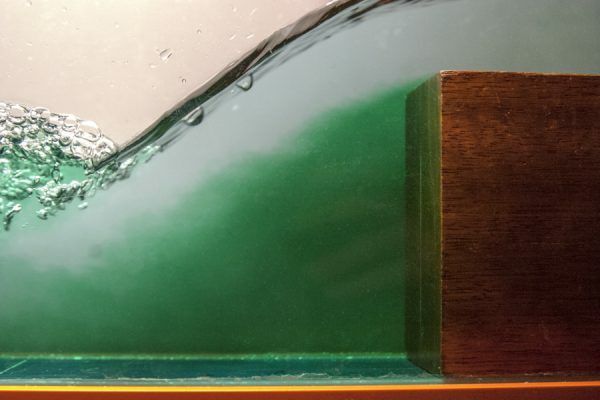 Air is entrained in a rolling hydraulic jump as flow (from right to left) recovers from acceleration over an obstacle in a flume. 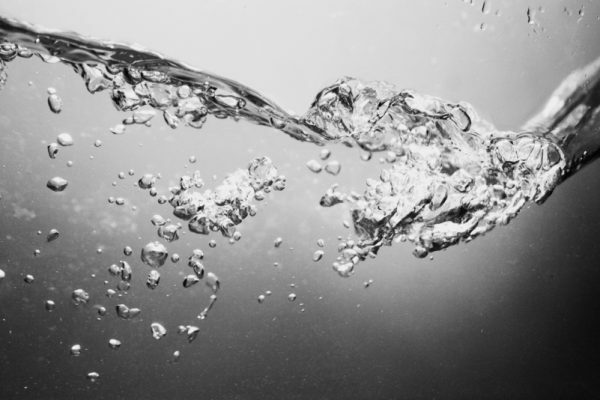 Air is entrained into streamwise vortices in the wake of a block in a flume. Flow (from right to left) over an obstacle in a flume simulates some aspects of the slipstream over a semi tractor trailer. 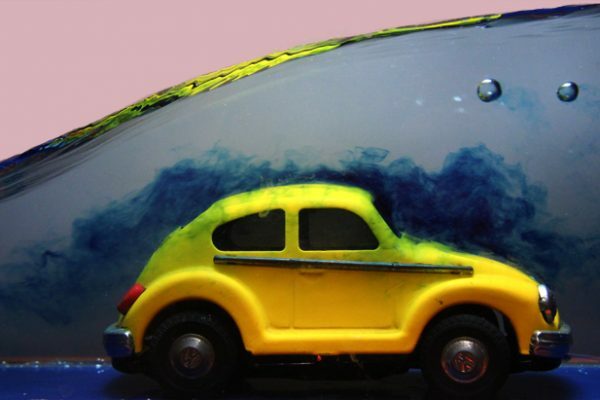 Turbulent flow over a 5.5 inch model VW Beetle in a flume.